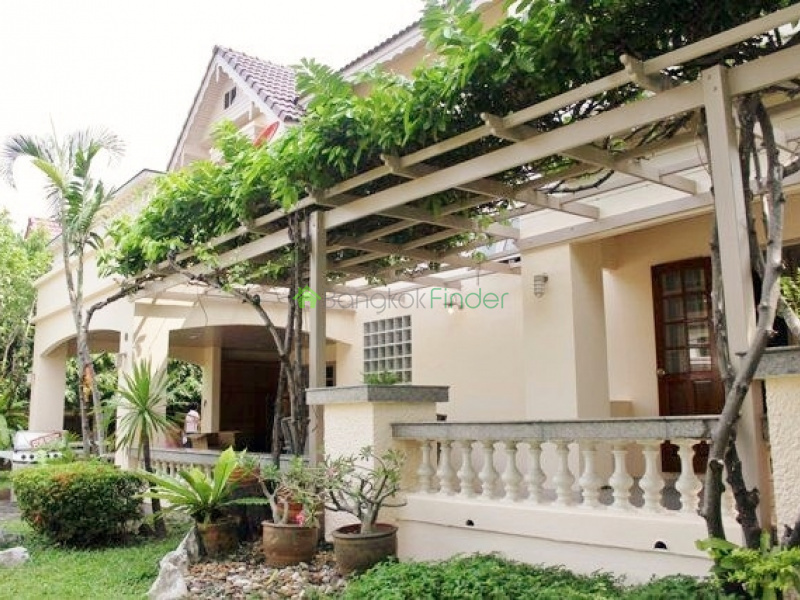 This a very spacious property with generous living space, complimented by a great garden giving a restful and relaxed environment to enjoy away from the big city hustle and bustle on this very quiet soi. 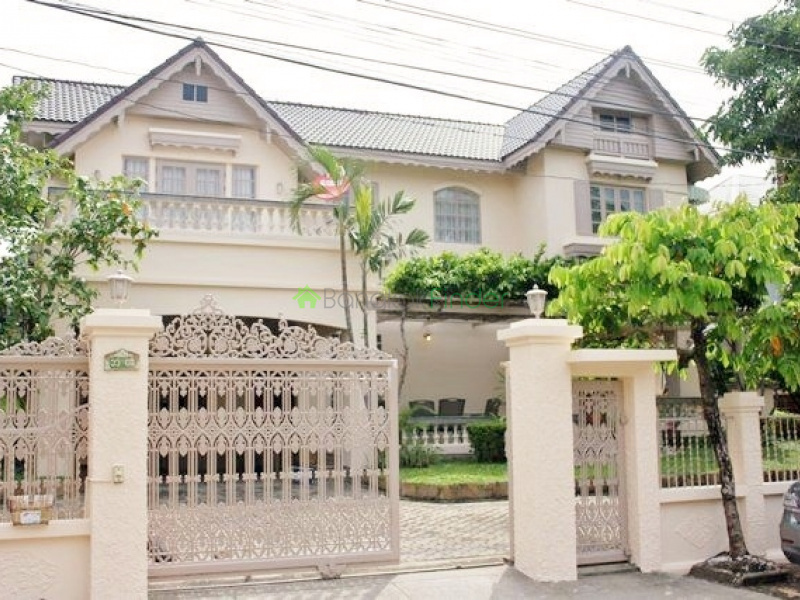 This house for rent combines four bedrooms and four bathrooms with huge living areas suggesting space for an office, studying or recreation. Your own gate to the property and lots of parking space with easy access to expressways and downtown connections. International schools, hospitals and major amenities in the neighbourhood with Seri Centre, Seacon Square and other major malls nearby.